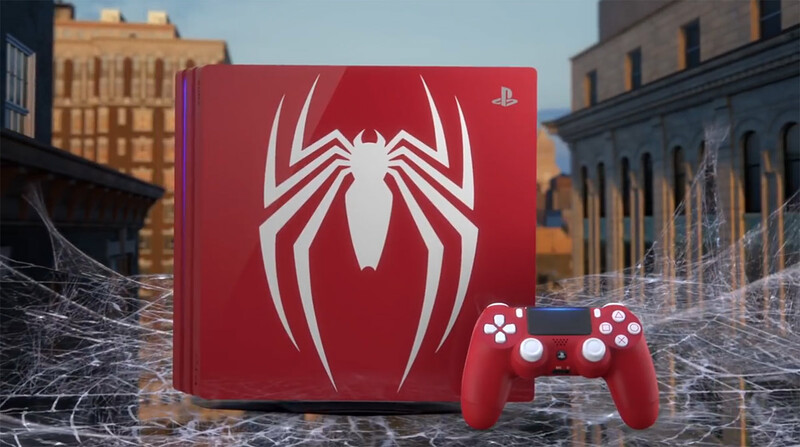 Sony has taken the wraps off of its latest limited edition PS4, with the Spider-Man console now announced and set to be made available for pre-order as of today if you’re in the United States or Canada. Priced at $399.99 USD / $499.99 CAD, the snappily named Limited Edition Marvel’s Spider-Man PlayStation 4 Pro will launch alongside the new Spider-Man game when it goes on sale on September 7th. The bundle includes everything you might expect, including an Amazing Red 1TB PS4 Pro with Spider-Man logo as well as a matching DualShock 4 controller. Buyers will also get a copy of the Spider-Man game included with additional digital content also to be made available. The game itself will run in full 4K with HDR support, likely making this the best looking Spider-Man game to date. Sony does like to launch new limited edition consoles alongside its biggest games and this is absolutely no different. If you’re in the market for a new PS4 Pro and don’t mind having a bright red console sit beneath your television then this may well be the one to go for this September. We’re not sure it’s for us, but we’ll take a copy of the game, thanks!